13. Papoea’s uit Nieuw – Guinea. 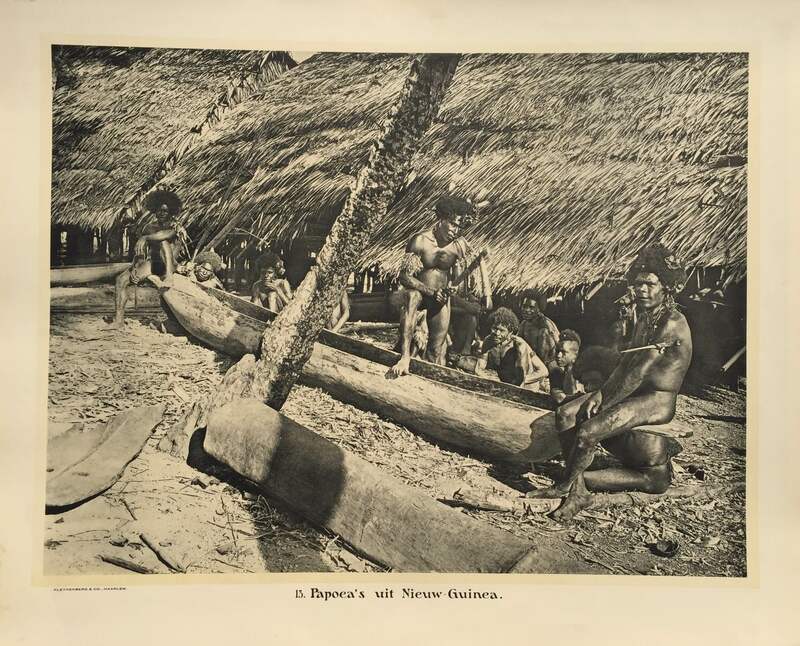 The coastal people of Irian Jaya fashioned each of their canoes from a single log that was hollowed out using stone axes. Necklaces, armbands and legbands made from seed and dried foods and often decorated with feathers were popular. The dagger worn in the arm ring of the man sitting on the boat is made from the bone of a cassowary bird. What little attire the island’s people wore was usually made from bark. There was no tradition of weaving. Antique school board of Papuans from New – Guinea. Taken c.1895 and published between 1912 and 1914 in Holland.